Grape-flavored chewy soft candies, white and muscat grape gummies, "extreme cut" Hokkaido potato chips and 100% strawberry juice gummies. Explanation of what the Japanese candies "Meiji Fran Double Chocolate", "Meiji Crackling Panic Grape", and "Neru Neru Jelly" are like. 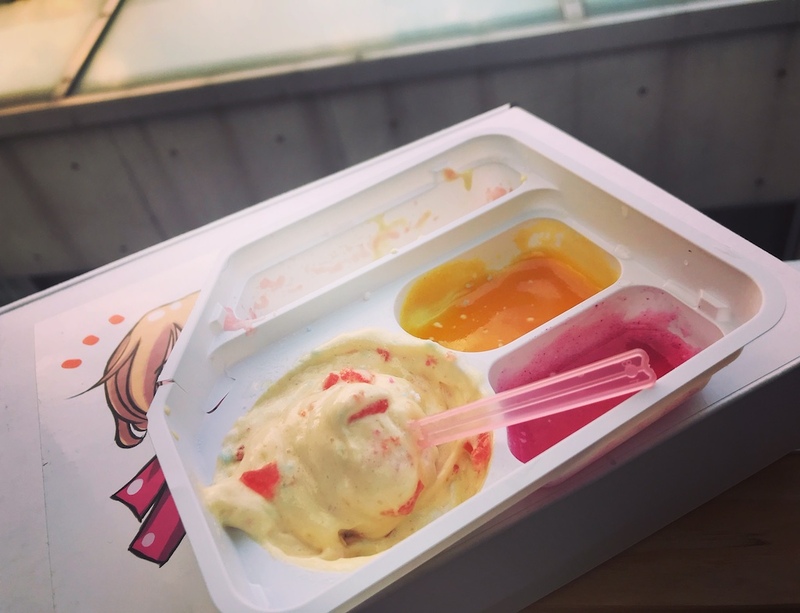 Explanation of what the Japanese candies "Koaya Soft Candy", "Gochi Sweet & Sour Japanese Plum", "Calbee Kiwa Jaga" and "Pure & Natural Gummy" are like. Airy melty matcha snacks, Mario chocolates and a candy fishing DIY kit. The items in the box are: Nagai Sakeru Gummy, Kameda Chocolate Persimmon Seeds, and Kracie Colorful Chocolate Kit. The items in the box are: DARS Milk Chocolates, Sakuma Drops, Kirara Tokachi Camembert Cheese, and Lion Kiechau-kun Gummies. 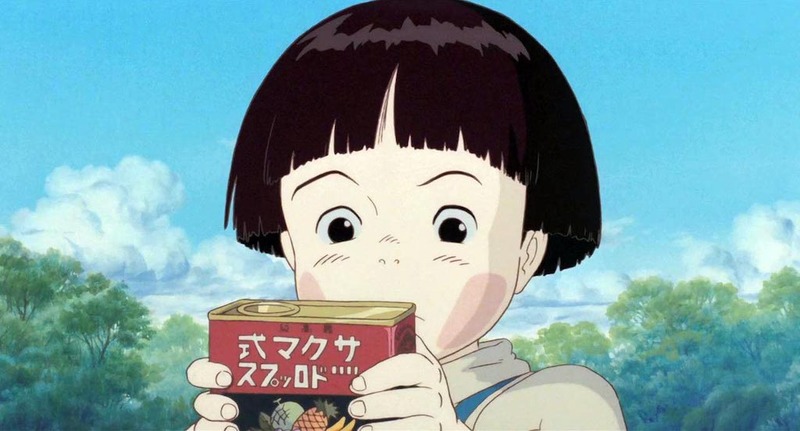 Anime fans will be delighted with these Sakuma Drops made popular iwith the tragic anime “Grave of the Fireflies”. Jan 28th 2018 | Japanese Delicacies! Candy box contained "Strawberry Chocolate Gummies", "Okinawa Chinsuko" and "Calbee Silky Sweet Potato Crisps". 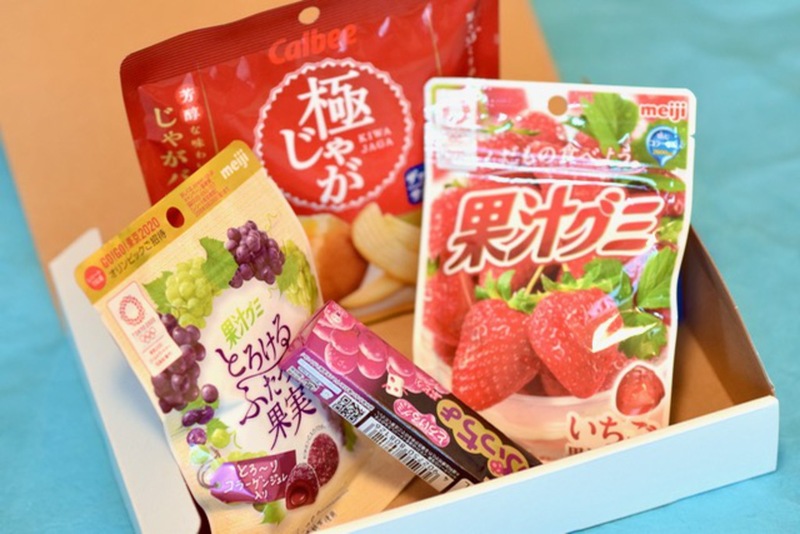 Candy box contained "Calbee Edamame Crisps", "Pine Pineapple", "Happy Nikukyu" and "Lotte Sasha Strawberry Chocolate". Candy box contained "Onigiri Rice Crackers", "Energy Drink Bubble Candy" and "Meiji Apollo Strawberry Chocolate". Candy box contained "Meiji Mini Mix", "Brown Sugar Fugashi" and "Silky Sweet and Brown Sugar Sweet Potatoes". Nov 28th 2017 | Smile and Say "Chocolate!" Candy box contained "Furuta Pretty Cure Gummy", "Hi Camera Hard Candy", "Chibi Sours Yogurt Gummy" and "Galbo Mellow Milk Chocolate". Candy box contained "Fuku Fuku Strawberry Taiyaki", "Star Kirby Gum Mix" and "Kracie Gumi Tsureta Grape and Pineapple Flavored Candy Making Kit". Candy box contained "Calbee Mild Salt Hard Potato Chips", "Pretty Cure Colorful Chocolate", "Chibi Sours Yogurt Gummy" and "Hore Hore Chocolate Gummy". Candy box contained "Orion Mini Grape Ramune Candy", "Kamda Kotsubukko Rice Crackers", "Splatoon Melon and Orange Soda Gummies", "Dragon ball figurines", "Sailor moon jewelry", "Moai statues" and "Fake pieces of cheese". Candy box contained "Lotte Pokemon Chocolate Wafers", "Maruta Nericcho Soft DIY Strawberry Candy" and "Bourbon Olive Oil X Chocolate". Candy box contained "Pretty Cure Strawberry", "Super Mario Gummies", "Chocolate Hokuhoku Sweet Potato" and "EveryBurger Chocolate Biscuits". Candy box contained "TOHO Calbi Potato Snack", "Meiji Jihaki Cola Up", "Calbee Sapporo Potato" and "Kracie NeruNeru Melon Flavor ". Candy box contained "Corris Whistle Candy", "Kawaguchi Mikan-chan" and "Kracie Mixed Berry Rose". Jul 28th 2017 | Itsa me, sakuranbo! Candy box contained "Sakuranbo", "Hidden chocolates" and "Jaga-shio". Candy box contained "Okin Kogumi Gumis", "Okinawa BBQ Yaitara", "Mr. Taro Onion" and "Pretz Butter Sticks". Candy box contained "Kuppy Ramune", "Morinaga Hi-Chew Premium White Grape" and "Morinaga Super Ottotto". Candy box contained "Malta Night Sky Candy", "Mugikko Strawberry Chocolate", "Yaitara Fish Dagashi", "Kyabetsu Taro" and "Green Grocer's Soft Candy". Candy box contained "Pierre's Strawberry Roll Cake", "Tomato Pretz", "Caplico Strawberry Tops", "Picola Strawberry" and "Bourbon Chocolate Custard". 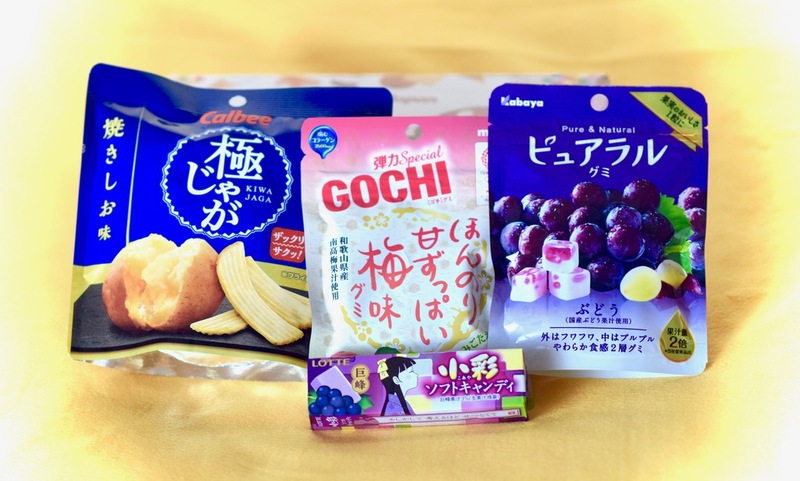 Candy box contained "Fruit Forest Candies", "Bourbon Chocolate and Yogurt Potato Chips" and "Calbee Sweet Potato and Cream Cheese". Candy box contained "Bourbon Petit Potato Consume", "Mazemaze Drink Mix" and "Slime Jelly Experiment". Candy box contained "Kracie Petite Soda", "Ju-C", "Pokemon Carpoli Grape and Orange Soda", "Furutakyu Ranger Gummies", "Sherbet Lick" and "Big Thunder III". Mar 28th 2017 | Green, crackers and cola. Candy box contained "Bourbon Petit Lightly Baked and Salt Senbei", "Matcha Mochi Chocolates" and "Kabaya Cola Mania". Candy box contained "Lotte Pokemon Chocolate Wafer", "Koume (Umeboshi Gummies)" and "Ju-C! Irodori Ramune". Candy box contained "Kajiriccho Flash Lightning Soda", "Black Thunder Kinako", "Masuya Onigiri Senbei" and "Meiji DIY Apollo Strawberry Chocolate". Candy box contained "Kabaya Shuwabo Garitto", "Bourbon Bound Rock Gummi", "Crayon Shin Chan Chocobi", "Bourbon Petit Matcha and Chocolate Chip Cookies" and "Meiji Let's Make Mountain Mushrooms". Candy box contained "Monster Hunter Energy Rice", "Fujiya Peko x Sanrio Strawberry Party Chocolate" and "Poppin' Cookin' Kurokuro Tacoyaki". Candy box contained "Bourbon Petit Sour Cream and Onion", "Sakupan Choco Manaka Panda" and "Hora Dekita Candy Apple Kit ". Candy box contained "Puku Puku Tai" and "Tirol-Choco Variety Pack". Candy box contained "Bourbon Petit Green Pea Chips", "Fujiya Anpanman Choco Balls" and "Puchi Puchi DIY Gummy Art". Candy box contained "UHA Satsuma-imo and Murasaki-imo Chips" and "New Super Mario U Chocolate Coins". Candy box contained "Nakano Vinegar Kelp", "Bourbon Petit Fried Sweet Soy Sauce Rice Crackers " and "Kracie Nyoki Nyoki Kokoron". Candy box contained "Shigekix Intense Grape", "Kabaya SakuSaku (crispy) Panda" and "Satsuma-imo and Renkon Chips". Candy box contained "Takaoka White Chocolate Yams" and "Horadekita Chocolate Banana Kit". Candy box contained "UHA Shiny Peach Gummies", "Kabaya Pure Selection Gummies" and "Popin' Cookin' Ramen". Candy box contained "UHA Cherry Gummy Cheeks", "Kabaya Okinawa Salt and Lyche Gummies" and "Moringa Mystery Hi-Chew". Candy box contained "Meiji Cho Himo Q Gummy String", "Fuwarinka Peach Rose Soft Candy" and "Kasugai Hokkaido Milk and Cream Hard Candy". Candy box contained "Iwatsuka Seika Soy Sauce Senbei" and "DIY Nakayoshi Neru! Neru!". Candy box contained "Coris Whistle Candy" and "Baked Sweet Potatoes". Candy box contained "Orion Plum Feeling Candies", "Yaokin Kinoko Stick", "All Rare Fried Squid & Mayo", "Morinaga Melon Caramels" and "Kabaya Shaka Shaka Gummies". Candy box contained "Miyukiseika Caramel Twists" and "Gudetama Pudding". Candy box contained "Calbee Caesar Harvest Snaps" and "Furuta Pretty Cure Jelly". Candy box contained "Pitaya Hard Candy", "Kabaya Watermelon Gummies" and "Kabaya Chocolate Panda Biscuits". Candy box contained "Kabaya Karipori Soda Sticks", "Himitsu no Cocotama Strawberry Snack" and "Popin' Cookin' Nyoki Nyoki Kororon". Candy box contained "Natsu Mikan, Strawberry and Green Apple Chews", "Fluffy Milk Chocolate" and "Toppo Matcha Sticks". Candy box contained "Kanro Cherry Jelly Hard Candy", "Nissin Crisp Choco" and "Glico Potato Sticks". Candy box contained "Baby Star Jumbo Chicken Ramen" and "Kracie DIY NeruNeru Candy Melon and Pineapple Paste". Candy box contained "Smart Phone Ramune", "Meiji Milk Chocolate Cubie", "Gaufrette Black Cacao" and "Alfort Premium Kyoto Matcha Chocolate ". Candy box contained "Meiji Biology Deep Sea Gummies", "Lotte Vessel In The Fog Chocolate " and "Calbee Sapporo Potato Tsubu Tsubu". Candy box contained "Yokai Watch Gummi Kit", "Umaibou Tonkatsu", "Unchoco" and "Wasabi KitKat ". Candy box contained "Meiji Baked Chocolate and Maple Cream Torotto", "Treasure Chocolate and Gummies" and "Kracie DIY Otanoshimi Neruneru ". Candy box contained "Chocotto Kimochi", "Mogi Mogi Grape and Muscot gummies" and "Cheese Fondue Scones". Candy box contained "Chocolate Pencils / Choco Enpitsu", "Senbei and Candy Drawing Kit" and "Green Tea KitKats". Candy box contained "Ganko Age Potatoes", "Anpanman Chocolate" and "Gudetama Hard Candy". Candy box contained "Lotte Strawberry Chocolate Sticks", "Kracie String String Candy" and "Matcha Azuki Chocolates". Candy box contained "Soda Puccho", "Mickey Chocolate Cream Biscuits" and "BBQ Scones". Candy box contained "Brown Sugar Fu-Bo", "Toumorokoshi Dagashi", "Kyabetsu Taro", "Kabayaki", "Choco Taro" and "Don Don Yaki". Candy box contained "Yaokin Brown Sugar Fu", "Suppai Lemon Gum", "Yokai Watch Figma" and "Let's Make Sherbet!". Candy box contained "Kajiritcho Grape and Soda Soft Candy", "Poifull Soda Jellybeans" and "Pine Fruit Rings". Candy box contained "Shirokuma Fruity Milk Candy With Azuki" and "Chelsea Butter and Yogurt Hard Candy". Candy box contained "Meiji Ume SoftGum", "Assorted Soda Soft Candy", "Pachi Pachi Panic" and "Kracie Bubble Jelly". Candy box contained "Meiji Bulgarian Yogurt", "Senjaku Tomato Candy" and "DIY Kinako Chocolate Mochi Kit". Candy box contained "Hi-Chew Seasonal Mix" and "Magic Jelly". Jun 28th 2015 | IT'S TIME TO DUEL...WITH GUMMIES. Candy box contained "Meiji Caramel", "Lotte Ume & Lemon" and "Ultraman Battle Gummies". Candy box contained "Plum Seed "Soft" Candy", "Shige Kicks Evolution Soda Gummies" and "Lotte Yokai Bubblegum". Candy box contained "Strawberry Caplico Mini", "Candemina Sour Cola" and "Miyukiseika Roasted Caramel and Almond". May 14th 2015 | Grapes, Berries and Roses. Candy box contained "Rose and Berry Soft Candy" and "Let's Make Gummies!". Apr 28th 2015 | Let It Go. Seriously. Share Some With Me. Candy box contained "Sour Poifull", "Avocado Snacks", "Chibi Sours" and "Frozen Strawberry Milk Snack". Candy box contained "Pressed Yogurt", "Cola Hard Gummies" and "Milk Caramel Soft Candy". Candy box contained "Ramen Bites", "Strawberry Taiyaki" and "Let's Make Mushroom Mountain!". Candy box contained and "Strawberry Panda Cookies". Candy box contained "Wasabi Pretz", "Apple, Honey and Cinnamon Milk Chocolates" and "Dark Chocolate Pocky". Feb 14th 2015 | A Simple Vs. Zany Theme in The Shipment This Month! Candy box contained "Mini Boro", "Limone Double Chocolate" and "Puchi Pasuteru". Candy box contained "Sakuma Ichigo Milk Candy" and "Kracie Pizza Kit". Jan 14th 2015 | Now This is Cough Medicine! Candy box contained "Japanese Florentine", "Puchi Potato Chips" and "Milky Mint Hard Candies". Candy box contained "Whistle Candy" and "Janken Gummies". Candy box contained "Calbee Osatsu Chips", "Super Mario Character Chocolates" and "Vending Machine Hard Candies". Candy box contained "Chocolate & Matcha Busse" and "Chocolate Potato Chip". Candy box contained "Cherry Puccho Gummis", "Fuwarinka Rose Soft Candy" and "Watapachi Popping Grape". Oct 28th 2014 | "Pikachu Used CandyJapan. It's Super Effective!" Candy box contained "Sakeru Gummi", "Matcha Chocolate Balls" and "Pokemon Pretzels". Candy box contained "Flower Kiss Candy" and "Doki Doki Puchi Saru no Mori". Sep 28th 2014 | Gotta Snack 'em All! Candy box contained "Calbee Rice Snacks" and "Pokéball Hard Candy". Candy box contained "Mini Hi-Chew" and "Kracie Happy Kitchen Hamburger". Candy box contained "Chocolate CaloryMate", "Baby Star Yakisoba Snack", "Soft Ramune Balls" and "WakuWaku Zukan Gummies". Candy box contained "Tokuno Milk Candy" and "Popin'Cookin' Candy Land Kit". Candy box contained "Honey Roasted Pretz" and "Fun Sushi Shop". Candy box contained "Pickled Plum and Basil Pretzels" and "Kumamoto Banpeiyu Puccho". Candy box contained "Puccho Balls", "Chocolate Shimi Corn" and "Juu-C Kit". Candy box contained "Super Mario Gummy", "Honey Kumquat Jelly" and "Salt Milk Caramel".